While I was born in a little town forty miles east of Natchez, Mississippi, it was growing up in South Louisiana that helped to foster the musical sound that is mine today. Though North Louisiana is known for Elvis’ debut on the Louisiana Hayride, Baton Rouge to New Orleans holds it’s own rich influences of Gospel, Rhythm and Blues, Jazz, and others. My parents listened to Country music in the family car. Naturally I listened to it as well. Eventually I landed a stereo in my room. Late weekend nights I surfed the AM/FM channels on it listening to local Baton Rouge radio stations, and some of the more powerful New Orleans stations that could be picked up over the 6o mile span. I grew into my own tastes listening to the Eagles, Foreigner, Journey, and a local band named Louisiana LeRoux, to name some of my favorites. I always gravitated toward those who wrote and performed their own material. As a teenager I became a Christian. My musical tastes would also grow leanings toward Contemporary Christian Artists like Dallas Holm, Michael Card, The Imperials, Russ Taff, and others. My “tennis racquet guitar” would eventually give way to the real thing. I first learned to play on an old department store brand acoustic who’s steel strings would make one easily feel the blues! Learning to play was an act of the will overcoming the pain! I stuck with it because I wanted it badly enough. I also was exposed to Blue Grass to some level by way of some of the older men at church, who I sat with in church choir practice. They invited me to play with their group on occasional weekend get togethers. They were kind enough to let some of their playing rub off on me through these sessions. I’m a singer / songwriter, but isn’t everyone in Nashville? In 2006, I left Baton Rouge to pursue new opportunities in Nashville, Tennessee. My wife and I call the Greater Nashville area home. I am a simple guy, though my wife swears I am complex, who loves writing and making music! Though what you hear on the songs is my guitar playing, I always feel that I could learn more. I love the instrument! I have also learned enough here and there to add bass, keyboards, harmonica, and some mandolin. 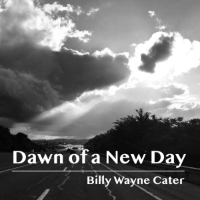 I have written soft ballads, Contemporary Christian music, Pop and Country music, Blues music, Rock music, and instrumentals. I have written songs for friend’s relatives based on the relative’s poetry, songs for weddings and funerals, and jingles for satire and work videos. Today I am an ASCAP member, and have over 100 songs in my personal portfolio. All these years later, I still love sitting down and playing / writing. Take one of my songs for a spin! 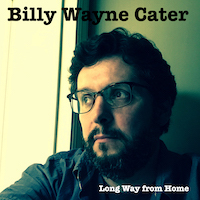 I would love for you to take a little bit of Wayne Cater home with you by way of my music. Feel free to contact me via one of my social media endpoints, or if you must, email me.